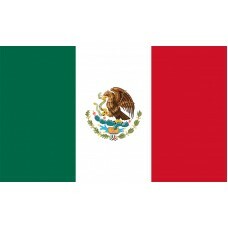 The Mexican flag features three vertical bands in the colors of green, white, and red. In the middle of the white band, the Mexican coat of arms is displayed which features an eagle sitting on a cactus, holding a serpent in its talons. 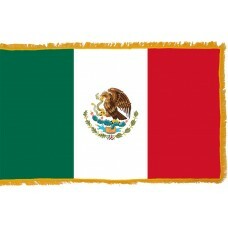 The Mexico flag was adopted on September 16th, 1968 but the colors that are used on the flag have been used since 1821. When the colors were first adopted in 1821, when Mexico gained independence, the green color represented independence, the white color represented Roman Catholicism, and the red color represents the bloodshed and battle fought for independence. Today, the green color represents hope and victory, the white color represents purity, and the red color represents union. The Mexian flag was first designed by an army general named Agustin de Iturbide and the red, white, and green were the colors of the liberation army. 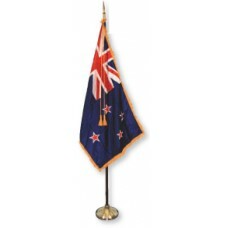 Throughout the years, despite maintaining the same colors, there have been alterations to the flag. The first flag used, adopted on November 2nd, 1821, had the same colors but the eagle in the center wore a crown. 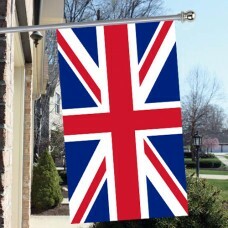 The second official flag used in 1823 had the same three vertical bands but the eagle no longer wore a crown. The 3rd official flag, adopted in 1864, again, used the same colors but instead of an eagle in the center of the flag, there was a crowned eagle in each corner. Mexico (which is also known as Estados Unidos Mexicanos – United Mexican States) is a country in North America that shares borders with America, Guatemala, and Belize. The border between America and Mexico is the second longest border in the world. The capital city of Mexico is Mexico City which is the oldest city in North America. The region that Mexico is located, is known as the "Ring of Fire" due to the violent volcanoes and frequent earthquakes. In Ancient times, many different cultures resided in Mexico which included, Olmec Culture, Mayans, and Aztecs who resided for approximately 13,000 years. In 1519, Mexico came under Spanish control when Hernan Cortes came to Mexico. It was under Spanish Control for almost 300 years, until the Mexican people revolted against the Spanish, which was led by Father Hidalgo on September 16th, 1810. The Spanish surrendered in 1821, and Mexico obtained its independence. Due to this, Father Hidalgo, is considered to be, the father of modern Mexico. at the resounding roar of the cannon! was written by the finger of God. to tarnish the coat of arms! be soaked in waves of blood. with cries of Union! Liberty! may their foot be printed in blood. Of one thousand heroes, here the Motherland began. persuades them to battle with courage. For you, a laurel of victory! A tomb for them of honor!